No matter whether you’re a total beginner. Whether you’ve got 5 minutes or 55 minutes to get ready each day. Whether you want a brand new look. Or want to start making the switch to clean beauty products. My private makeup lessons will help you. I’ll take away all of the overwhelm of choosing and applying makeup and beauty products. And I’ll show you how to enhance your natural beauty using simple techniques and only a few products that are perfect for YOU. This will make you look and feel absolutely fabulous and full of self-confidence every single day. But right now I’m feeling totally stuck! And I feel like I’ll never get to that stage. I feel totally overwhelmed and totally confused by all the products and techniques out there! Don’t worry, Lovely. You’re not alone. Here are some of the things I so often see and hear when working with my fabulous clients at my private makeup lessons. Can you relate to any of these too? 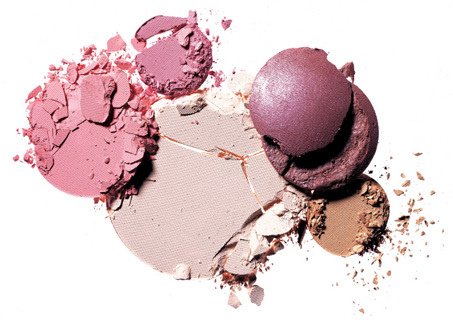 °I have lots of gorgeous products such as palettes and lovely eyeshadow shades sitting in your makeup bag. But I’ve absolutely no idea how to use them. Or if they’re even suitable for me! °I get totally overwhelmed by all the products that department store salespeople or magazines and social media are telling me that I absolutely need. Where do I even begin? Do I really need all of these products? °I’ve been using the same old shades for years and I really want a change. But I’ve no idea where to start with creating new looks. I don’t know what shades are most suitable for my complexion or eye shape. °I already do apply makeup products every day. But I don’t feel confident doing it as I’ve no idea if I’m doing it right or not! °I want to look refreshed and rejuvenated every day. But I don’t have a lot of time to spend applying a load of makeup products. How can I do a gorgeous look that makes me look polished and professional in just a few minutes? °I often go to the drugstore or department store to buy products. But I get so overwhelmed by what the salesperson is saying to me. So I just buy whatever they tell me! Even though I’ve no real idea if what they’re telling me is true or if these products really are suitable for me. °And even if they have tried the products on me, they look great when they apply them. But now that I’m home alone with the products, I’ve no idea how to recreate the look by myself. I’ve tried a few times, but it never seems to look the same as how they did it! °I take good care of myself and eat healthy foods and exercise regularly. But I’ve realised the products I’m using on my body actually contain ingredients that are harmful to my health (as well as animals and the planet)! So I want to start using products that contain safer, cleaner ingredients. But I’m totally overwhelmed by the whole natural & organic beauty thing. Where do I even begin to start with this? °I actually feel somewhat confident with makeup. And I’m ready to go to the next level and learn more advanced techniques such as winged eyeliner and smokey eyes. However, no matter how hard I try to do these. Or how many YouTube tutorials I watch. I just can’t seem to get it to look as good as they do it in the video! Maybe I’m just really bad at this! °I just want to be able to do a simple, natural look that still makes me look like me and not overdone. And I want to be able to do it super quickly. °I’ve never been into the whole makeup thing. But I’d like to give it a try. However, I have absolutely no idea where to start! Are you’re nodding along and answering ‘yes, that’s me’ to any of these? Then don’t worry. You’re in the right place. And the solution to your problem (or problems) is so much easier than you think. They’re investing in products FIRST before even knowing which products and shades are actually right for THEM. That’s like buying a car before you know how to drive! And then hoping you’ll know how to drive the car the minute you sit in it! Once you’ve bought it, you suddenly realise that you can only admire it from the window right now because you can’t actually drive it until you know how to drive! And that instead of investing in your gorgeous new car, what you should have done instead is invested in taking the lessons first! It’s time to stop wasting your hard-earned cash! They’ll just sit in your makeup bag or bathroom cabinet never to see the light of day again. Which is such a shame on so many levels. For one thing, you’ve just wasted your hard-earned money on something that you’re never going to use or get any joy or pleasure from. Also, these products are just taking up space in your makeup bag. And it’s just more clutter to have to throw out eventually. Sure, you might leave them there for a while as you can’t bear to throw them out. After all, you did spend so much on them! Plus they’re just so beautiful. And maybe you’ll end up using them someday (even though in reality you know you never will)!. Well, there are 2 ways you can go about solving this. The first way is to do all the hard work yourself and spend hours upon hours searching and watching all the videos on YouTube. Or reading as many blog posts as you can fit in. But the problem with watching endless videos on YouTube is that the techniques and advice are not specific to YOU! Maybe it’s not that you’re bad at doing smokey eyes or winged eyeliner. Or why that eyeshadow colour doesn’t look as good on you as it did on the girl in the video. It’s more likely that the technique you’re being taught in the tutorial is not right for YOUR eye shape. Or that shade is not suitable for YOUR eye colour or complexion. And not to mention all the TIME it takes to have to search through endless videos and articles just to maybe find a couple of pieces of advice that might be relevant to you. Can’t I just go to the department store for help? Yes, sure, of course, you can. But the problem with that is they’re only going to recommend whatever products are available from their particular brand. And yes sure, it might work. But how can you be really sure what they’re telling you is coming from a place of genuinely doing what’s really right for you instead of just to make a sale? There’s no need to make it so hard on yourself. I can help by making it all so much easier for you by saving you time and money. I can tell you the exact products and techniques that are perfect for you! You see, I’ve used so many different products and brands over the years. And I’ve worked with so many different face shapes, eye shapes, skin tones, skin types and ages. So I know what products and techniques work for each one. You’ll receive a list of 10 makeup and skincare product recommendations that are right for you. This also includes the EXACT SHADES that are right for your skin tone and eye colour too. Having this list of product recommendations will really save you so much time AND money in the long run as you’ll ONLY be buying the RIGHT products for your complexion and skin type that will really make you look radiant and glowing. And you won’t ever again have to throw out products from your makeup bag or bathroom that you never use! You’re also saving so much time and money because you don’t have to do any of the research on products and brands yourself. I’ve done all that for you. 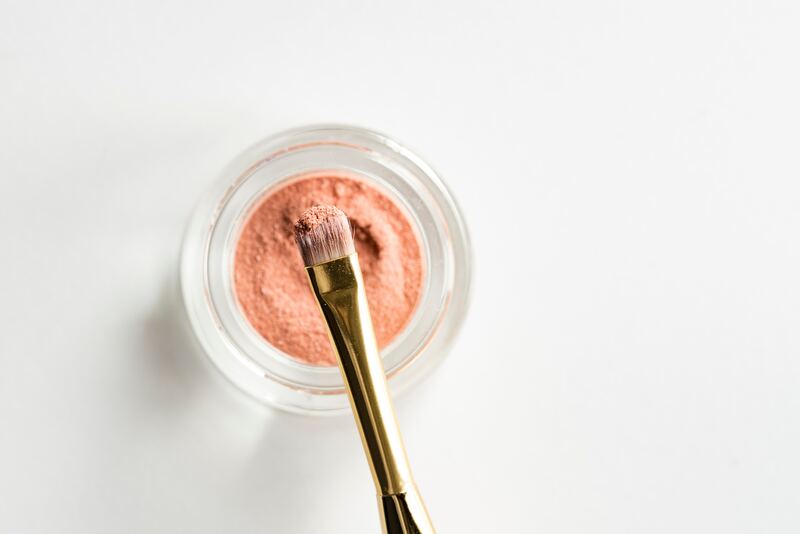 And once you’re ready to buy a new beauty product, all you’ll need to do is simply look at your personalised product recommendations list and it will be there waiting for you. Unlike the advice you’ll receive from department store salespeople who work for just 1 brand and only want to sell you products from that particular brand. Regardless of whether they’re right for you or not! It’s hard to know if you can really trust what they’re saying. Or if their products truly are natural, organic and cruelty-free! I’m an independent source so you can trust what I’m telling you is in your best interests. And I’ve used products from many, many brands. So I know which ones work. And which ones don’t! I also know which ones truly are natural, organic and cruelty-free. And I’d love to share all of this knowledge with you too. This part is just as important. Because it doesn’t matter how amazing your products are. If you don’t know how to use them properly, there’s not much point in buying them. 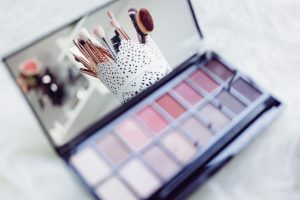 At your virtual personalised 1-1 makeup lesson, you’ll learn the exact techniques that are right for you and that will enhance and flatter your face shape and your eye shape. Because makeup is not a one size fits all. And just because a particular technique is right for one face or eye shape, it doesn’t mean it’s going to be the right one to enhance your features. Once you’ve learned these techniques, you’ll not only feel really confident doing your own makeup every single day. You’ll look and feel absolutely fabulous and full of self-confidence too. As you’ll know exactly how to enhance those beautiful features of yours that will give you a bright, uplifted and more youthful looking complexion. Another amazing benefit of this is that once you’ve learned these techniques once, you’ll still be able to use them for many years to come too. A good makeup routine is only as good as a great skincare routine. So you’ll also learn how to apply your skincare products correctly. As well as how to remove your makeup correctly. You’ll also receive a recording of your lesson that you can view over and over again as much as you like. This is invaluable as it means you can be fully present at your lesson without having to worry about taking notes and missing what I’m teaching you. It means you’ll have more time for actual learning and doing and asking me as many questions as you need so you can really learn as much as possible from your lesson. I mean, don’t you just hate it when you go to a lesson or workshop and you’re so busy taking notes in case you forget something, that you actually miss what the instructor is doing?! But as you’ll have the recording of your lesson, you won’t need to worry about that. Even if you do forget something it doesn’t matter. As you’ll have the recording of your lesson so that you can watch it over and over again as many times and how often as you like and need. Your 2-hour lesson will take place online via Zoom (similar to Skype) which means you don’t even have to travel. So you can get really comfortable and feel completely relaxed at home and really get the most out of your lesson. And don’t worry at all if you’re not so good with technology. Because all you need to do is click on the link I send you by email and we’re automatically connected. It’s that simple. And I take care of everything else for you. I’ll share all my favourite professional makeup tips & tricks with you that you can incorporate into your everyday makeup routine. Simple, basic techniques that only take a few minutes to do. But that will make a big difference to your look and will make your beauty routine a whole lot simpler. And you’ll also receive my top natural and organic beauty tips to help you get started or continue on your green beauty journey. You’ll receive a questionnaire from in me in advance of your makeup lesson so I can get to know you better and see exactly what it is you need my help with. From your answers, I can see what your current makeup skills level is and what it is you really want to learn. I’ll then prepare everything in advance for you so you’ll get the absolute maximum from our time together. This means the entire lesson is tailored EXACTLY TO YOUR FACE AND YOUR NEEDS and what YOU want to learn. In addition to all of this, you’ll also receive a special bonus of email access to me for 2 weeks after your session. So if you have any follow up questions, you can utilise that 2 weeks to email them to me and I’ll get back to you with all the answers you need. Your virtual personalised 1-1 makeup lesson is priced at Eur 249 and includes everything I mentioned above. I’ll do all the research for you. And I can tell you the exact products and techniques that are perfect for YOUR complexion, YOUR eye shape, YOUR eye colour, YOUR skin type. So you can save yourself weeks, months and even years trying to research everything yourself. No longer will you have to throw money down the drain constantly trying out products that are not right for you and that you’ll never use. And when you’re actually using the products you buy, you’re getting much more value for your money. 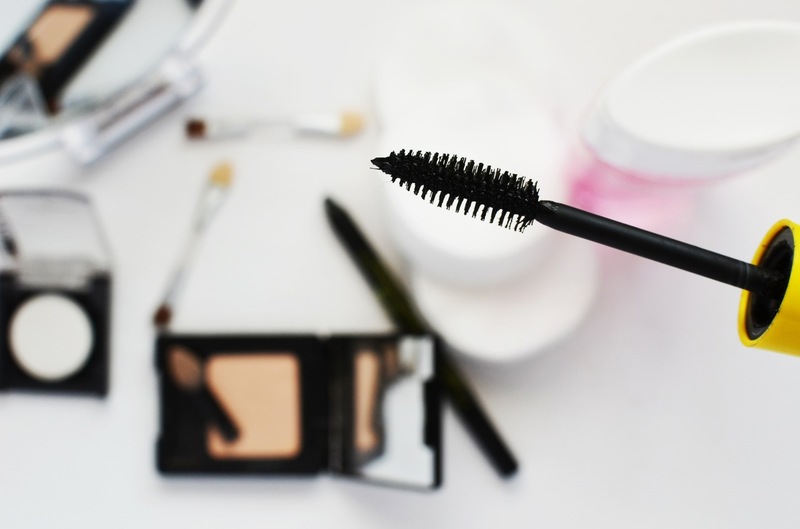 You’ll feel confident going into drugstores and departments stores to buy beauty products. As you’ll know exactly what are the only products you really need, which shades are perfect for you, which products are best for your skin tone and type. AND you’ll know exactly how to apply them every day too. The whole makeup lesson is tailored exactly to YOUR needs. That way we can really concentrate on EXACTLY what YOU want to know. But if you need some help choosing what it is you want to learn, I’m more than happy to help you choose what would be most beneficial for you. As your lesson will take place online, you can don’t even have to leave the comfort of your own home. And you can feel totally relaxed and at ease, no matter what country or city you live in. You can even wear your jimmy jams if you like! Whatever makes you feel comfy. Bubbles or cocktails of any kind are absolutely permitted too! You’ll receive a recording of your entire lesson. Which means you don’t have to worry about taking notes. So you can get the absolute most of our time together and totally concentrate on learning as much as you can. And you can ask me as many questions as you like so I can give you immediate feedback. Even if you do forget something it doesn’t matter. As you can simply pop on the recording whenever you need it to refresh your memory. And as you’re looking and feeling so fabulous, you’re also going to feel full of self-confidence too. Just wait for all those lovely compliments you’re going to get from everyone telling you how amazing you look. Not only that you’ll also feel confident at applying your makeup every day too. I only ever recommend products from brands whose philosophy and ethics I completely respect and are in line with my own of not using ingredients in their products that are harmful to our health, animals or the environment. ALL of the products I use on myself, in my kit and that I recommend are cruelty-free and are the highest quality products that work and contain only the best natural and organic ingredients that are kind to your skin and health. So if you decide to purchase any of my recommendations, not only will you be doing something lovely and kind for yourself. You’ll also be making a big and positive difference to the welfare of animals and our wonderful planet too. How can I book my private makeup lesson? You can book your virtual 1-1 personalised makeup lesson for Eur 249 by clicking on the link below. What are the next steps after I book my lesson? STEP 1: Once you click on the BOOK YOUR LESSON button below, you can then choose your preferred payment method (PayPal or Card) to pay for your lesson. STEP 2: You’ll then receive 2 emails from me within a few minutes of making your payment. The first will be a confirmation of your payment. The second will contain a link to my calendar so you can choose whatever appointment date you’d like to book your lesson for. You’ll also receive an email confirmation of your appointment so you know everything is 100% confirmed. STEP 3: The next step is for me to learn a bit more about you and what exactly you want to learn and what you need my help with. So a couple of days later, I’ll send you a pre-lesson questionnaire that I ask you to complete. That way, I can get working on preparing everything for you. As I want to ensure that you get the absolute maximum from our time together. Please be as specific as possible when completing the questionnaire. Feel free to write as much as you like on it. The more I know about the issues you’re having with makeup, the more I can help you. But I promise you, this isn’t hard and won’t take up too much of your time. STEP 4: You’ll then get an email reminder a couple of days before your lesson with the date and time of your appointment once again, as well as how to prepare for your lesson. Make sure to also have a read of this FAQ page. You’ll find the answers to any questions you have on there. But if you still have any questions, simply get in touch with me here and I’m more than happy to answer them for you. So are you ready to look and feel absolutely fabulous and full of self-confidence every single day?